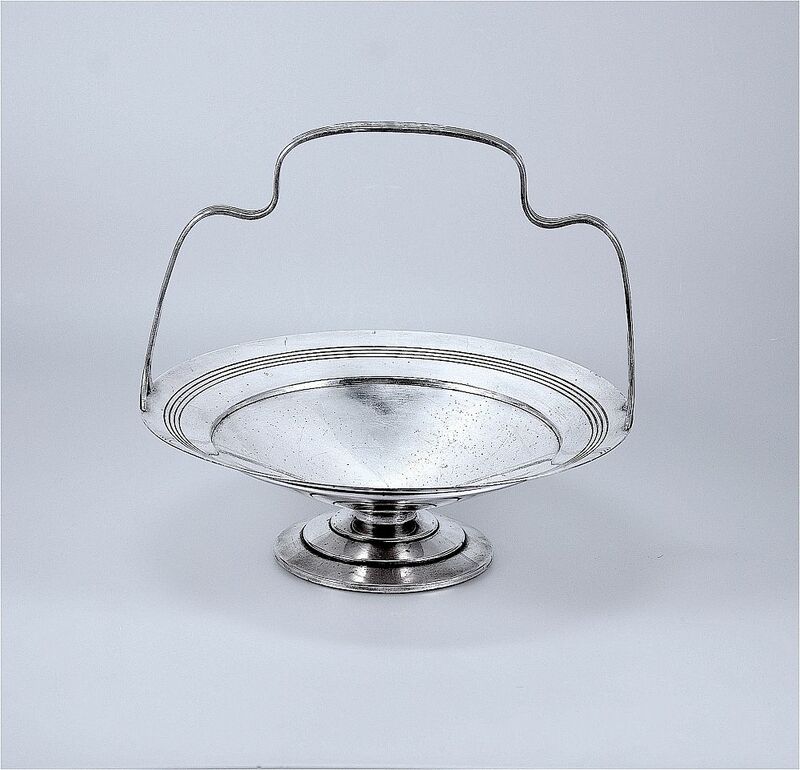 This very elegant silver plated basket was designed by Keith Murray for Mappin & Webb during the 1930s. The conical three tiered base supports a shallow concave top the outer edge of which has the trademark 4 incised rings. The undulating handle is fixed and has 4 incised lines running its entire length. The base is stamped " Triple Deposit Mappin & Webb Prince's Plate London & Sheffield" with a stylised treskelion type mark. There is an "O" in a shield shaped cartouche and it is stamped "W28081" and "Rd 772183". Highly decorative and useful for those Christmas treats!